If your dealership has won a DealerRater Dealer of the Year or Consumer Satisfaction award, graphics for your award and a customizaeable press-release template will be available to you in your DealerPanel. You are free to use these graphics as desired on your website or in any email, marketing, or advertising efforts - we only ask that you do not modify the images themselves. The press-release likewise may be used as desired to promote your awards. To access and download these assets, please follow the instructions below. 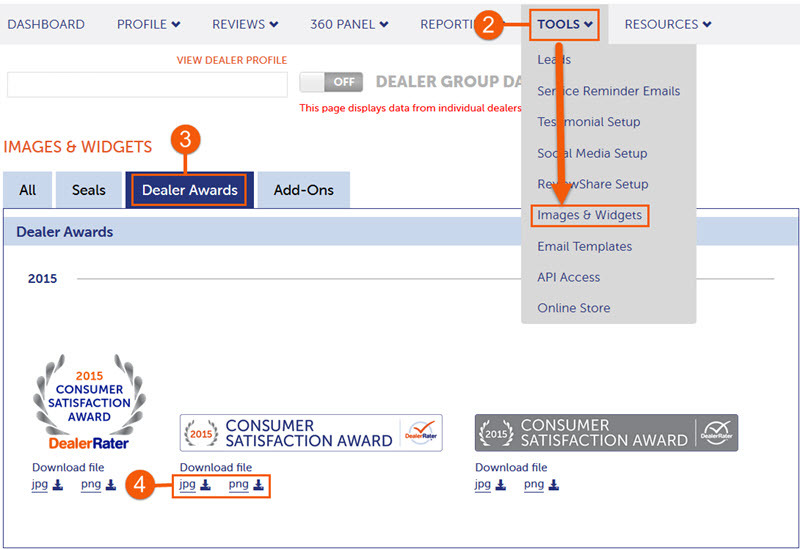 Select 'Images and Widgets' from the 'Tools' Heading near the top of the Dealer Panel. Click the 'Dealer Awards' tab from the Images and Widgets page. If this tab does not appear, the dealership has not received any DealerRater awards. To download a specific graphic, click the link for the desired file type (PNG or high-resolution EPS) in the "Download File" section for the desired graphic - graphics will be available, often in a variety of styles, for any awards the dealership has received on DealerRater. Select 'Email Templates' from the 'Tools' Heading near the top of the Dealer Panel. Scroll down until you see the email template for the desired award. 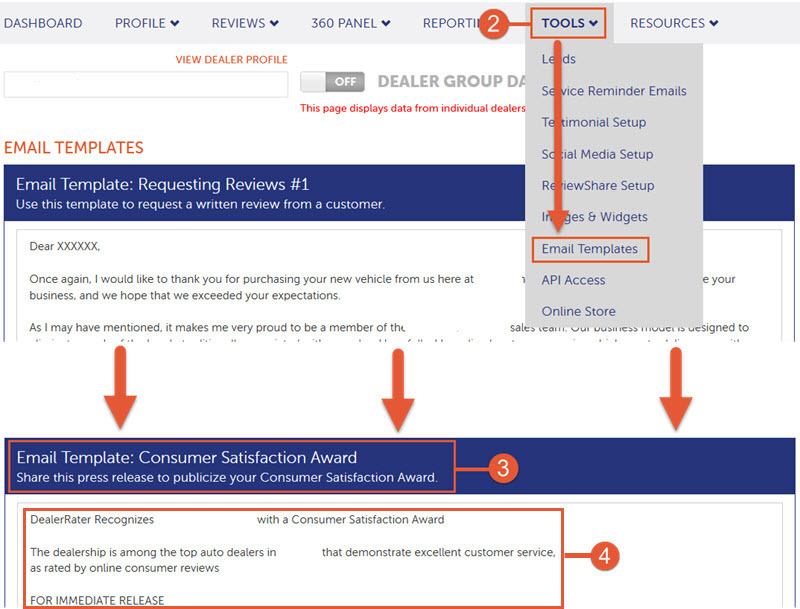 If the email template for an award does not appear, the dealership has not received that DealerRater award. You may copy the text of the template, and use as desired.